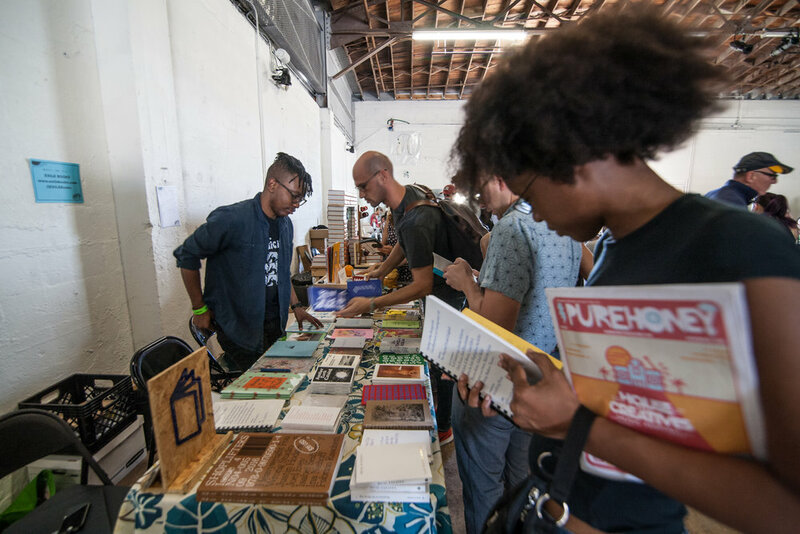 Organized by Ingrid Schindall of IS Projects and Sarah Michelle Rupert of Girls’ Club, SPF Fort Lauderdale is an opportunity for the regional print-making, book-making and zine-making community to share ideas and showcase new work for one special day in Fort Lauderdale. SPF Fort Lauderdale includes a MARKET for exhibitors to share and exchange delectable print, book and zine goods, a STEAMROLLER printing event for artists to print BIG, DEMO stations for master printers to demonstrate techniques and technologies, CREATION STATIONS for visitors to make and trade their own zines, and a STAGE for a forum of discussion and debate revolving around our sunny subculture of independent print- book- and zine-makers. SPF Fort Lauderdale launched its first edition November 12, 2016, in FATVillage, and will be back at it each year in November. SPF Fort Lauderdale’s next edition will take place in FATVillage, in the heart of Fort Lauderdale’s growing arts neighborhood. The 8000+ sqft venue will host the market, demos, creation stations and stage, with related events and food trucks lining the block. Street parking is available as well as two public lots less than a block away. Bike racks are available. Uber and Lyft is available. The Brightline and Broward Central Bus Terminal is located 5 blocks to the south of FATVillage and is an easy walk. SPF is a fully accessible event, and we are dedicated to continually improving our efforts to ensure you have access to all the fair amenities. Event facilities are wheel-chair accessible, large print is available, service and emotional support animals welcome. We welcome and encourage feedback and suggestions from our community. Contact us for inquires and more information about accessibility.